The sequel to the New York Times and Caldecott Honor–winning Click, Clack, Moo is now available as a Level 2 Ready-to-Read! Bob follows the instructions in Farmer Brown’s notes exactly. He orders pizza with anchovies for the hens, bathes the pigs with bubble bath, and lets the cows choose a movie. Is that he giggling he hears? 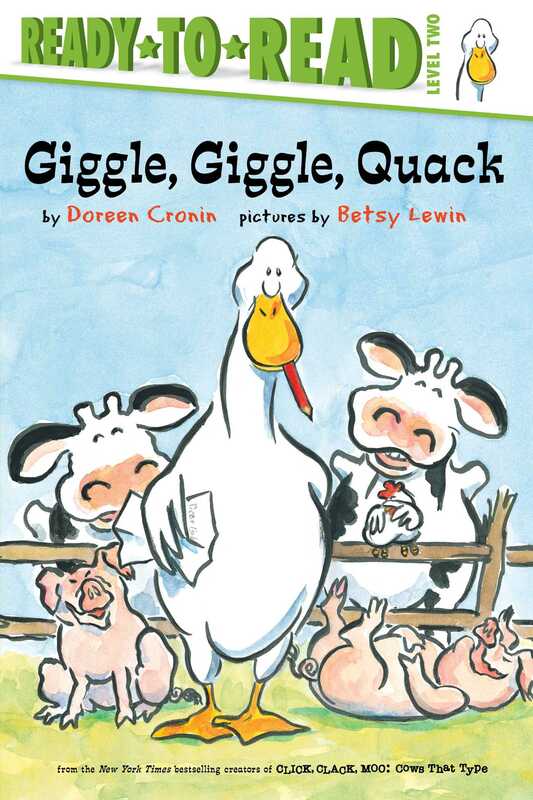 The duck, the cows, the hens, and the pigs are back in top form in this hilarious follow-up to the beloved Caldecott Honor Book Click, Clack, Moo: Cows That Type.